FREE Chick Fil A 8-Count Chicken Nuggets! 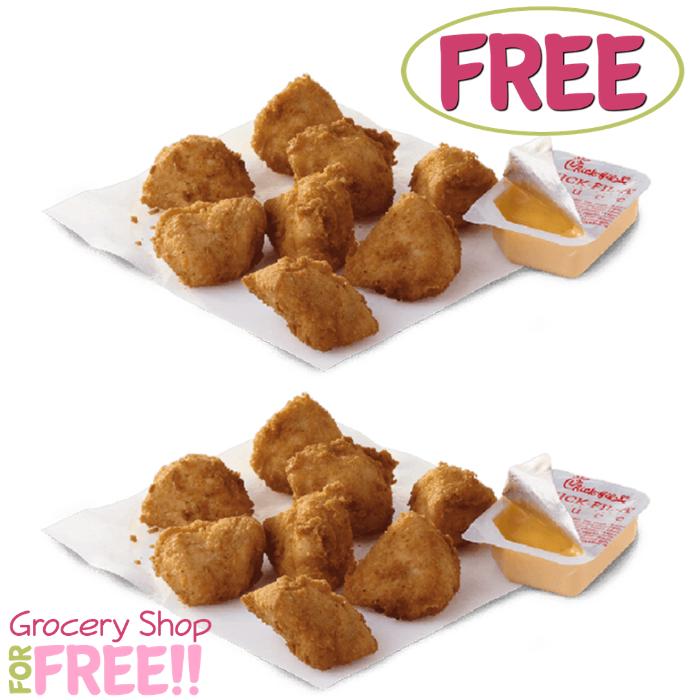 You are here: Home / FREEbies / FREE Chick Fil A 8-Count Chicken Nuggets! You’re gonna love this FREEbie! Until September 29 only! Chick-Fil-A is offering FREE 8-Count Chicken Nuggets when you download their app on Android or IOS! All you need to do is select “My rewards” to snag the offer. That easy! No purchase needed! Yum!